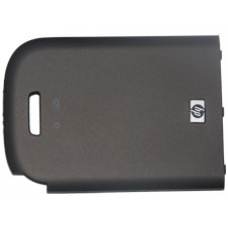 Official HP battery door cover produced from a hard wearing impact resistant ABS plastic. If you have lost or damaged the original cover, then this part will restore your unit to pristine condition. Please note this is the complete battery door cover assembly including all plastic stylus holder internal parts. This part is suitable for any of the 600 series iPAQ units.